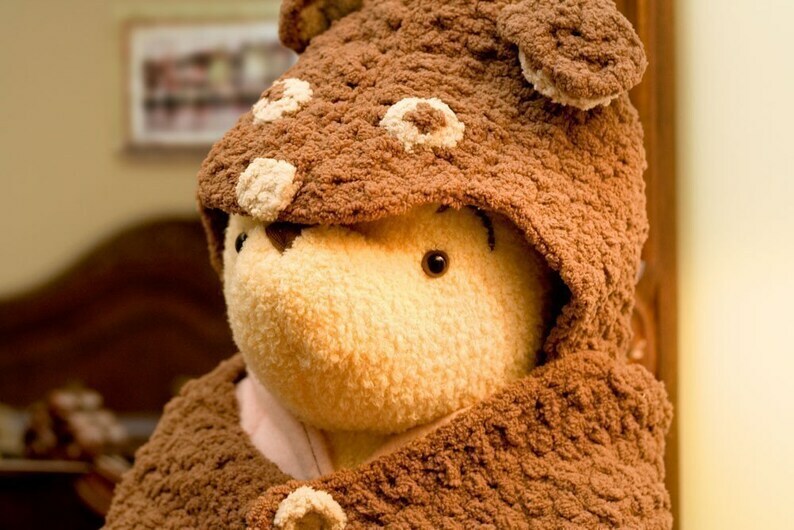 This cuddly bear blanket is lots of fun to make! I would suggest this pattern for someone of at least intermediate crochet experience. It's great for baby to cuddle with and would make and awesome baby shower gift! The preemie directions are new (as of April 2009), so if you have previously ordered this pattern from me and would like it with the updated directions, please convo me and let me know. I will email you the updated pattern (free, of course)!